Video shot in Nuevo Vallarta Nayarit, Mexico. Generally speaking, in a normal point there’s a rally and someone either hits a winner or more likely makes an error. Basically there isn’t much emotion, it’s just a point played. But at the 3.5 level … poaching and making an error?… whoa! That stirs the pot and brings up drama! All of a sudden those insecurities show up. Ohhh! How’d I miss that!! I don’t believe it! I shouldn’t have done that!! My partner’s probably upset!! Watch the video and see the viewpoints from both the net man and the receiver. Great video Alan. Well produced … and well acted. Great stuff from Coach Alan as always…follow-on topics: where to serve to maximize poaching effectiveness; how to handle the lob returner; what to do when the opponents get tired of your great poaching and play two-back? Cheers. Great point on attitude for the net man! Going to try it and yes you are right, It’s just one point! Great perspective Alan … sending it to some of my students! One of my strengths is poaching and net play and I can’t agree more in that I feel really bad when I miss a poach. But, after hearing and seeing your vidoe, I am more confident in my play and realize my partners appreciate as well in the big picture. Thanks! Alan always has good advice, great video. Well worth practicing. It is a mental game. Thats a good one Alan, I won’t feel so guilty when I miss a poach. I’m going to be confident and keep moving at the net. 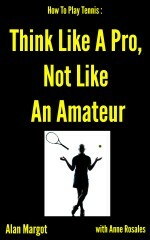 Alan…Great tennis thoughts and examples for us “older” people who need all the help we can get. Thanks again, “old timer”!!! !